Daily Health Tip: Skincare gets slick – It is commonly thought that using oil in our beauty regime will cause breakouts and make skin greasy. But oils are naturally brimming with vitamins, minerals and essential fatty acids that can provide us with a multitude of cosmetics benefits. They can rebalance, moisturize, protect and brighten complexions, and improve texture and tone. 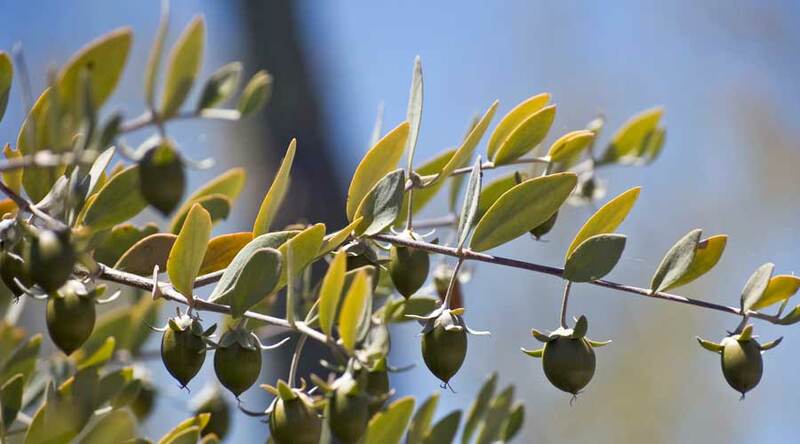 One of my favorite oils is Jojoba Oil; it comes from the seed of a desert bush yet its molecular structure is very similar to human skin oil… or sebum. It penetrates the skin down the hair follicle and also through the pores, coats the cell membranes and inhibits moisture loss. It has Vitamin E as a natural component to slow down the aging process. Good for the relief of skin problems like psoriasis, seborrhea, cradle cap, acne, rosacea, eczema and very dry skin. Rosehip seed oil, Apricot and Sesame are also excellent skin care oils. More on those oils next week.